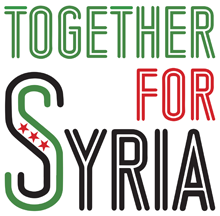 Contact info@syria uk.org to let us know of an event. Refugees vigil at 6:30pm, Old Palace Yard, Westminster, London. Legal accountability/transitional justice event, 6:00-7:30pm, LSE, NAB.2.04, New Academic Building, LSE, London. More details on the LSE website. No ticket or pre-registration required. Entry is on a first come, first served basis. For any queries email s.sfeir@lse.ac.uk or call 020 7955 6198. Free, but booking required. More details. 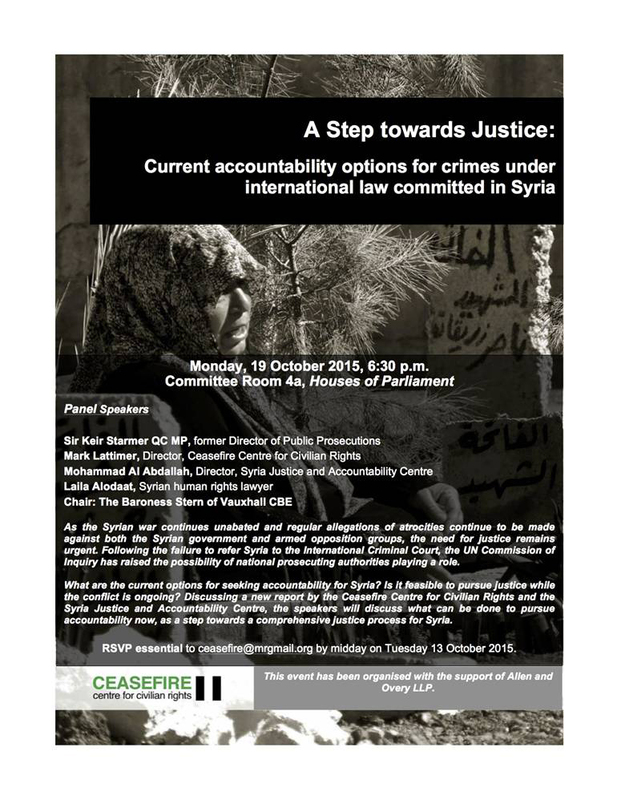 Legal accountability/transitional justice event, 6:30pm, House of Lords Committee Room 4A. Religious minorities event, 6:30pm, Grimond Room, Portcullis House. Caabu members’ event with the author of Heirs to Forgotten Kingdoms, Gerard Russell. More details on the Caabu website. Refugee documentary screening, 7:00pm, Room G3, SOAS, Russell Square. ‘Displaced’ by journalist Amel Guettatfi follows three Syrians living in a makeshift camp on the Northern border of France. Each felt the need to leave home after the uprising in their home escalated. 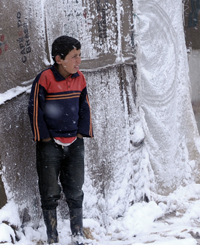 They survive on the bare minimum, living in tents in the winter, trying to cross to Britain every night. This documentary discusses the human collateral of an on going war through the stories of a graduate, a former student and an ex-Syrian Army soldier. 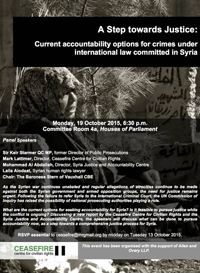 Syria Solidarity UK speaker to be confirmed. Hosted by SOAS Student Action for Refugees (STAR). This Event is free and open to the public. Donations are welcome. Refugee Solidarity Summit: Open the borders now! Amongst the many speakers are Syrian artist and activist Ibrahim Fakhri, talking on migrant experiences, and Abdulaziz Almashi of Syria Solidarity UK and Solidarity With Refugees, on strategies for radical solidarity. More details on the Eventbrite page. Demonstration, 2:00-4:00pm, Russian Embassy London. UK policy on ISIS event, 12:00-2:200pm, House of Commons Committee Room 9. 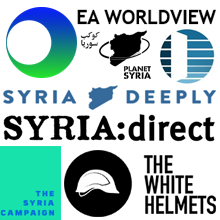 Syria Between Dictatorship and ISIS: What can the United Kingdom Do? Hosted by Jeff Smith MP. Organised by Rethink Rebuild Society, Voice of the Syrian Community of Manchester. 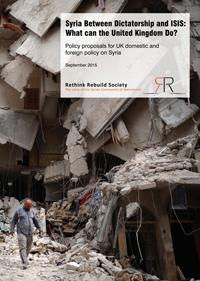 Read the Rethink Rebuild policy document, Syria Between Dictatorship and ISIS. Human rights event, 1:30-3:00pm, House of Commons Committee Room 14. Plus video messages from: US members of Congress, Holocaust survivors and US Ambassador-at-Large for War Crimes Issues, Stephen Rapp. Background: ‘They were torturing to kill’: inside Syria’s death machine, by Garance le Caisne, The Guardian, 1 Oct 2015. Photographs will be displayed at this event which some may find upsetting.